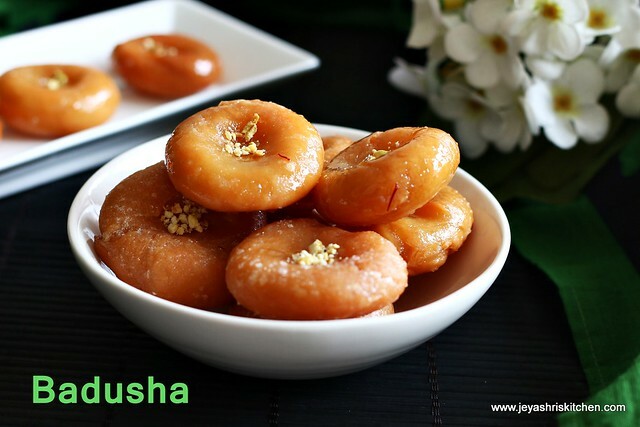 Badusha|Balushahi yes you heard it right, i succeeded finally and got my perfect badusha . 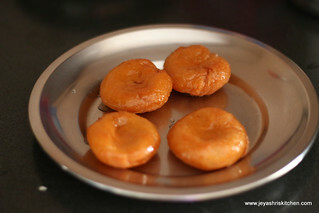 For the past 2 years i am trying badusha but somehow it was hard. Finally got it perfect when i made this 2 days back. I literally jumped out of joy . 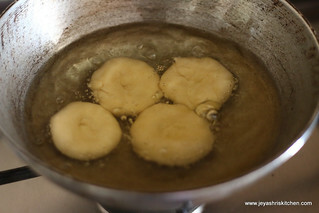 Thanks to my friend's mother in law (Mrs.Shanthalakshmi) who gave me confidence and gave a lot of tips to make badusha. But like most of the mothers she doesn't follow perfect measurements. But still she gave me some approximate measurements. I am bit skeptical to follow the approximate measurements and was confused. Sailu's kitchen gave me clarity as the recipe what mami gave was almost close to her and i adapted the flour measurements from her. 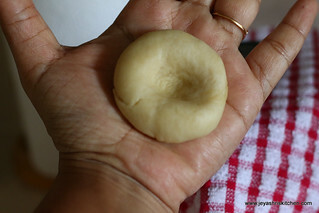 Now i can confidently say i can make Soft badusha, a perfect diwali sweet recipe. 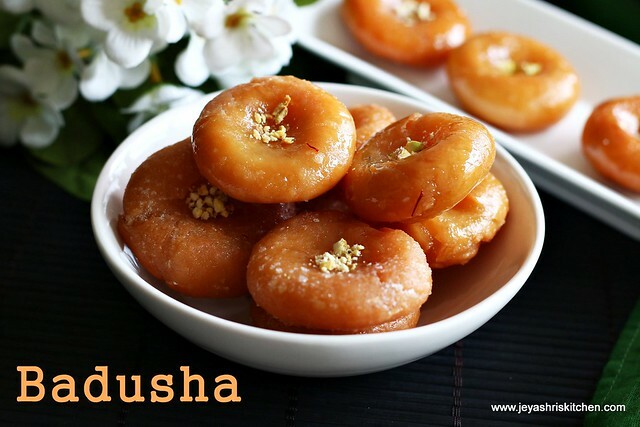 Try this badusha recipe for Diwali 2014. 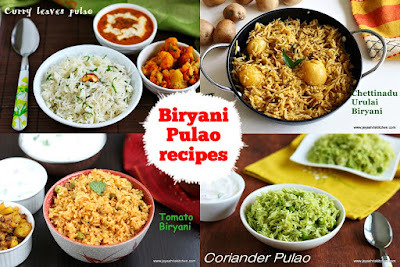 Check my full collections of diwali recipes . 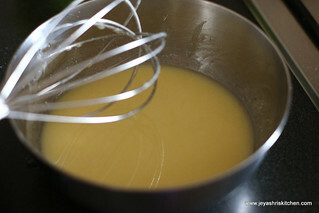 In a wide bowl add the ghee+ oil, baking soda and curd. Beat this well for 10 mins till they get incorporated very well. 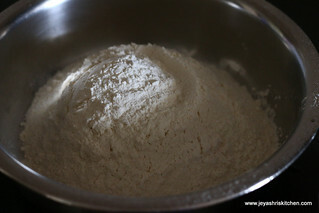 Take the flour in a wide bowl. 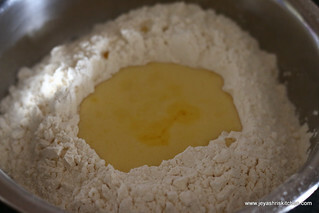 Add the beaten ghee curd mixture to the flour. 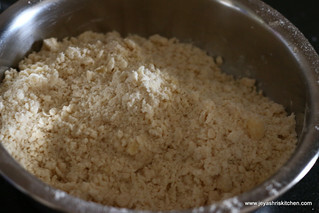 Mix this with your fingers and make it like a bread crumbs. 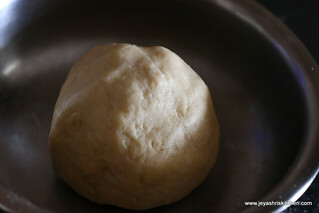 Add water and make it a soft and non sticky dough without any cracks. This is very important. 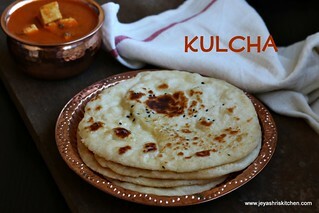 If you knead the dough hard, the badushas will not be soft or flaky. Rest the dough for 10 minutes. Keep it covered. 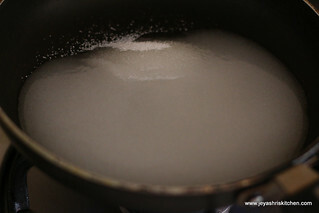 Make the sugar syrup by combining the sugar and water. Let it boil and form One string consistency. 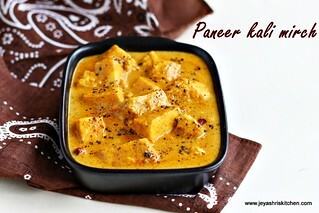 Add lemon juice and saffron to this and switch if off. 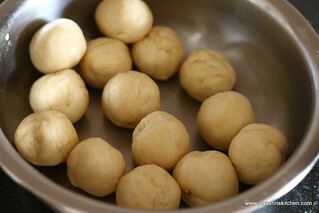 Make the dough into equal lemon sized balls. Take one ball and flatten it with your palm. 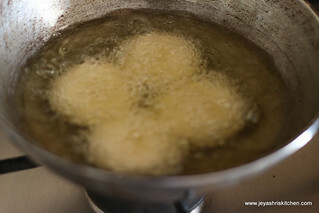 Make dent in the center with your thumb and heat the oil for deep frying the badushas. 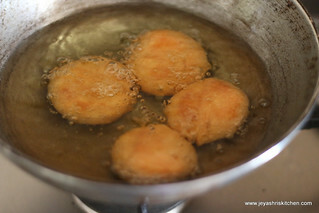 When the oil is hot switch off the flame and slowly put in the badusha into the oil. After few minutes the badhusha floats up on the top and switch on the flame. Fry in medium low flame till they turns nice brown colour. Never fry in a hurry, it will not get cooked inside. Dip it in the sugar syrup. Ensure that the syrup should be warm. 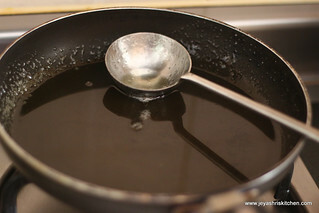 Else you warm it for a minute and then dip in the syrup. Let it stay till you fry the next batch. Take it out from the syrup and place it on a plate. I added saffron in the second batch and so you couldn’t see in the above picture. I was bit nervous about the outcome of the badushas and so i forgot to add. 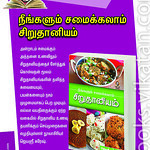 You can decorate with few coarsely pound almonds or pistas. 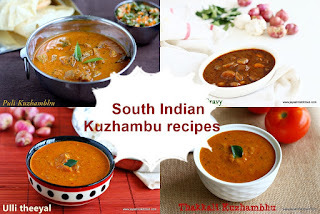 The badushas can be stored for 4-5 days at room temperature. It tasted very nice and was soft and juicy the next day. 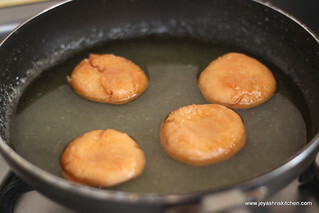 Always fry the badusha in a low heat. Else inside will not get cooked. Do no add cooking soda more than the amount mentioned. 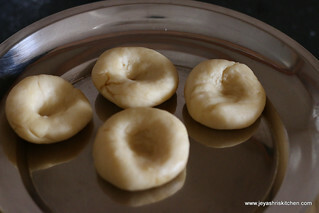 Vanaspati |dalda will give a fantastic texture to the badusha. 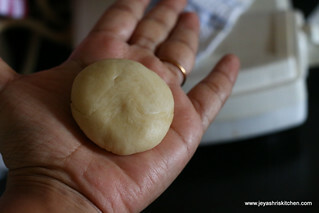 Always make the dough smooth and soft without any cracks. While heating the oil, to check whether it is perfect,pinch a small piece of dough into it and when it raises immediately, the oil is hot. Switch off the flame and put the badushas into it. Never over crowd the badushas into the oil. 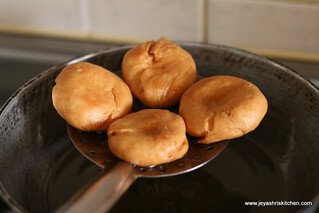 If the dough is cracked the badushas will get cracked while frying. You can add cardamom powder to the sugar syrup. If adding, just add a pinch. 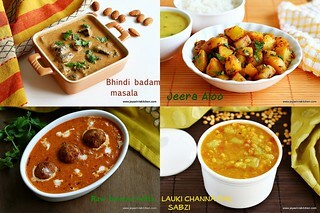 very well explained.. looks yumm.. 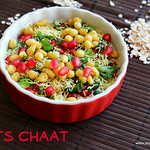 If adding dalad, v need not add ghee. Is it right and if so how much of dalda should v add. Thanks. Recipe says to add 1/4th cup of ghee and oil,then what's the proportion of both? Thanks jey. Soo it's 2 tbsp oil +2 tbsp melted ghee,for badhusha recipe? Hi jeishree. Superb explanation & thanks for it. 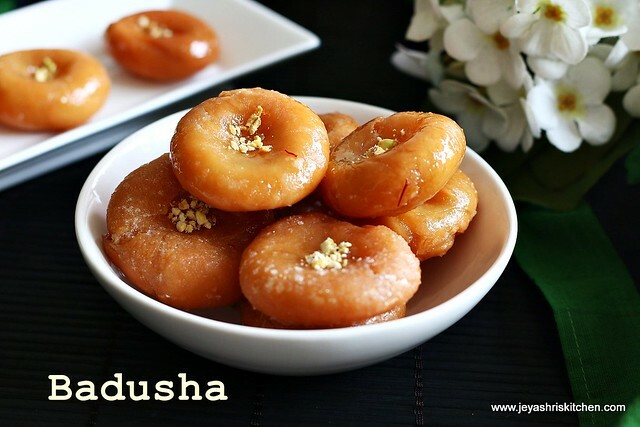 I tried it but badusha came very hard & became crisp like biscuit. Can u pls tell me where I went wrong. Thanks for trying.The reason may be either u must have over fried the badhushas. Or the dought may be very thick and not soft. Did you reduce the butter? Did the sugar syrup was warm when u dip in that? Homemade sweets is better than nothing. I prefer only homemade sweets and send sweets to india. I made badhushas today and they turned out well, it looked really good but not as soft as the ones we normally get in shops.. Thanks! 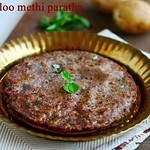 Looking forward to trying the Milagu Thattai . Hi. Great Site. Just wanted to check , is the cup size 200ml or 250ml? I haven't tried using brown sugar. Don't know whether you will get the string consistency in brown sugar. If it may be fried for a long, it will become hard. Or if the sugar syrup is not hot enough it will become hard. Thanks for trying out. Sorry anjali, Baking soda is a must. This was the first time I was making it so was absolutely terrified and yes I jumped with joy after taking a bite.Thank you so much! 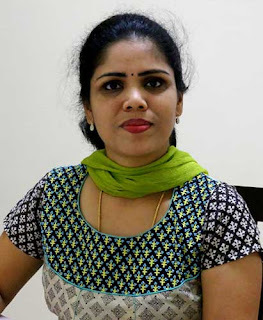 Hi jeyshri I followed ur notes badhusha come out well but it's sticky where I did wrong? Hi Sofi,Which portion was sticky. The outer layer, since it is soaked in syrup will be sticky only. 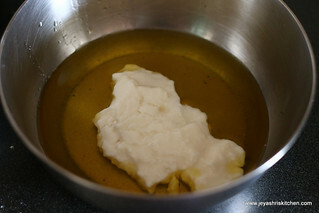 Hi, the oil and butter must be more in the dough, that's the reason why it got dissolved. Tried Badusha for the first time. Came out well but not like in your pic...the dent as not there and it puffed up so could not decorate with nuts. Dent when you put with your thumb finger slightly deep will raise a little, if you see my pictures, the first batch after frying in the oil when it took out, the dent is not more visible. Then later i realised and put it bit deep. Press with thumb finger. And thank you bringing thsi to my notice, i would not have mentioned it else. I will update in the post too. Thank you.